CRAPTASTIC: Five Feature Friday #26! This week I started my fifth clinical rotation! I'm incredibly excited, because it is my orthopedic surgery rotation! I'm very interested in pursuing orthopedics as my specialty when I get out of PA school, so I've been looking forward to this rotation! My first day in the OR will be Monday, and I don't know if I want to jump for joy or barf all over the place! :) I'm both excited and nervous, so wish me luck! musebootsi shared her adorable striped kitchen drawers, but I think the entire kitchen is great! It's so bright and cheery! Little House In the Big D freshened up this boring jewelry holder with a fun, modern pattern! 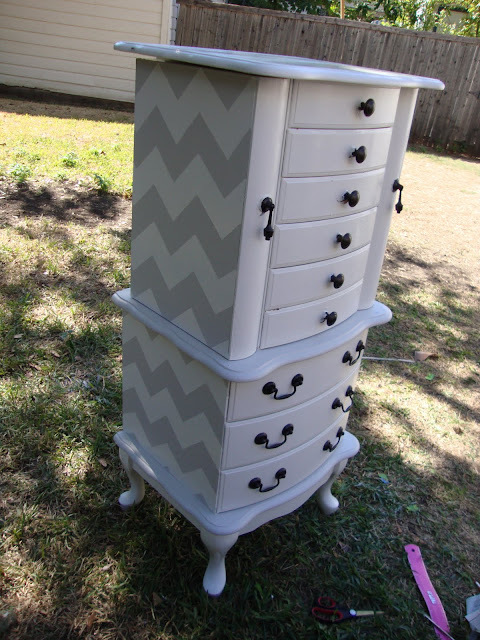 Gotta love that chevron! no. 2 pencil shared this awesome turquoise dresser makeover! Love the style and the new color! 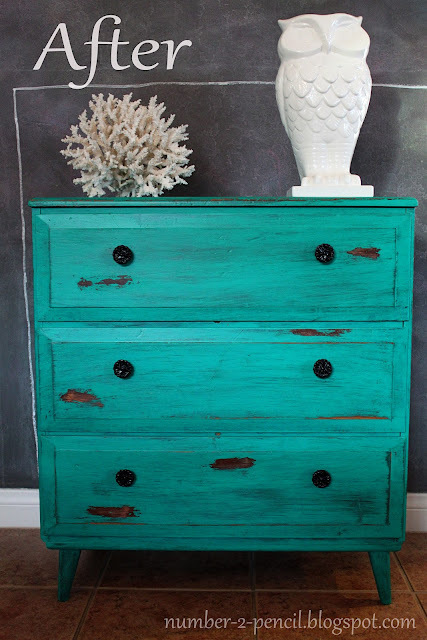 The Blooming Hydrangea shared her madeover coral nightstands, but look at the rest of the room! Isn't that stenciled wall amazing! 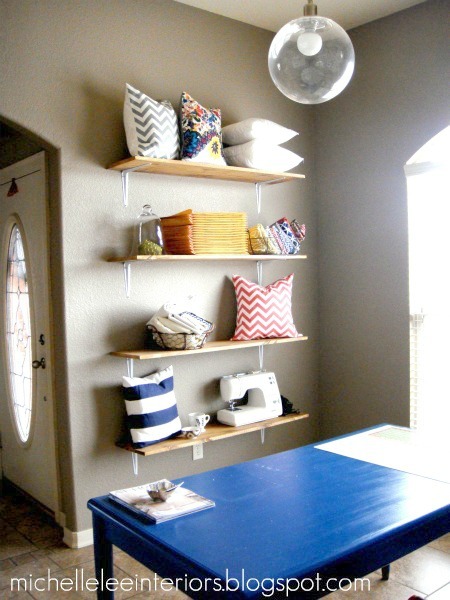 Michelle Lee Interiors updated her office with DIY wooden shelves! I love how they look displaying the beautiful pillows and fabrics in the basket! If you haven't already, be sure to enter my one year blogiversary giveaway! You have a chance to win this sweet scalloped tote, a large travel case, and custom mix CD from yours truly! Great features Katie! I especially love that bright and happy kitchen! ... Good luck with your new rotation. I can't imagine being in an OR unless I was the one sedated! Thank you so much, Katie! I'm so incredibly flattered to be featured! And good luck on your rotation! I'll send joyful and anti-vomit thoughts your way! Good luck on your rotation. I'm sure you'll do great! I love the stenciling on those kitchen cabinets. Hmm, where can I add those...? BTW, I just noticed your new layout! Love it! Had you mentioned it in another post cause I don't recall? That pennant banner is CUTE! Great features and Good luck!! Oh my goodness that stenciled wall is amazing! Fantastic finds!